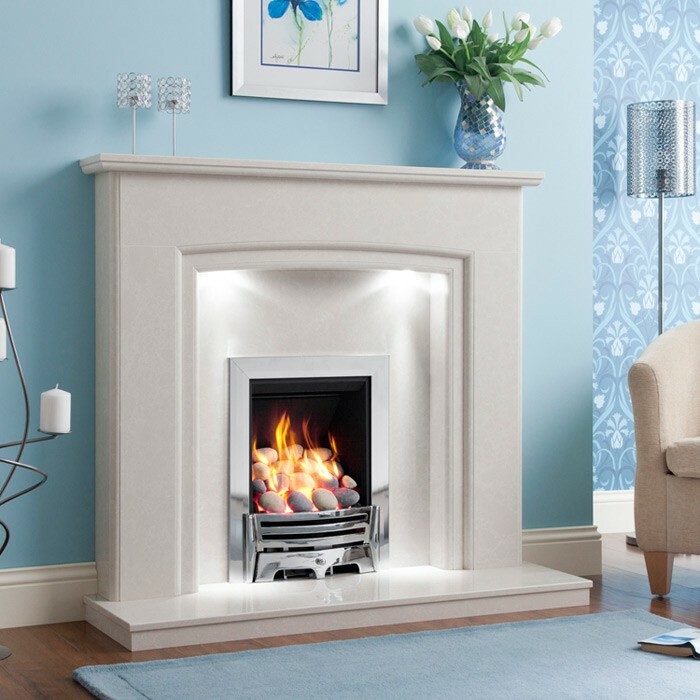 Those clever people at Be Modern have come up with a great way to enhance the appearance of their marble fireplaces. Be Modern are now offering the option of Smartsense under-mantel lighting with their most popular marble fireplace designs. Downlights can transform the appearance of a fireplace, highlighting the beauty of the materials and giving a sense of depth which makes the fireplace surround really stand out from the chimney breast. Under-mantel lighting is fitted below the fireplace mantel header so that the light fittings are hidden from view.